Dr. Robbi Wilson is a native of San Diego. He found a passion for dentistry early on, back when he was in high school. After figuring out he worked well with his hands, loved helping people, and had a knack for solving problems, dentistry seemed like the natural selection. He also appreciates a great smile! After graduating one B+ short of valedictorian at Mira Mesa High School, Dr. Wilson went on to attend UCSD, where he obtained his undergraduate degree in Biology. He was then accepted into UCLA’s prestigious School of Dentistry, where he graduated in the top 10% of his class. Dr. Wilson further trained at the Veteran’s Dental Clinic in Los Angeles, where he was able to help treat many U.S. veterans in need of good dental work. After five years in L.A. Dr. Wilson couldn’t wait to come back to his beloved San Diego! Dr. Wilson prides himself on minimizing pain and maximizing comfort while correcting his patients’ dental concerns. Dr. Wilson very carefully delivers local anesthetic and offers various forms of sedation dentistry, as well as pillows, blankets, and music or movies to enjoy during your treatment visits. Dr. Wilson always takes his time when explaining treatment needs and the many options available to our patients. He will attempt to thoroughly answer all questions you may have. Dr. Wilson will always treat you like you are family and give you 100% of his attention and skills every time you see him. Dr. Wilson places a high emphasis on treating patients with the utmost respect and kindness. Dr. Wilson got his caring and gentle demeanor from his loving and supportive mother. And his wonderful father, the engineer, gave him a “mechanical brain” with desires for perfection and precision. All immensely important character traits in a good dentist! Dr. Wilson loves to work with patients of all ages and backgrounds. He has helped many individuals who are scared and nervous about dental treatment become relaxed and calm by showing them that dental care doesn’t have to be this horrible, scary, painful thing when done by the right person in the right setting! 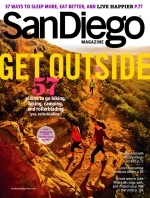 His experience, skills, and commitment to helping patients feel as comfortable as possible may be some of the major reasons why Dr. Wilson has been voted one of San Diego Magazine’s top 100 dentists in San Diego 10 years in row from 2006-2016! Dr. Wilson is highly respected by his peers and often treats other dentists and many local physicians when they too need dental work. Dr. Wilson is an excellent dentist who takes the time to explain procedures, plan of action, and cares for his patient’s comfort throughout treatment & follow-up. Staff are well trained and are very professional. What a great dental team at Pomerado Cosmetic Dentistry! Dr. Wilson is constantly staying up to date with all the new and exciting innovations in general, restorative, and cosmetic dental treatment. He belongs to multiple Study Clubs, including Spear, ITI, and CEREC®. Dr. Wilson consistently attends continuing education seminars and workshops to perfect his craft. Dr. Wilson is a member of the American Academy of Cosmetic Dentistry, the Academy of Biomimetic Dentistry, California Dental Association, American Dental Association, and the local San Diego County Dental Society. 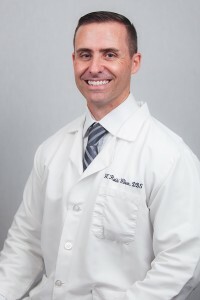 He is a certified Invisalign® provider and trained in dental sleep medicine. Dr. Wilson is also a health nut! He is big on proper nutrition and exercise, and enjoys working out, camping, hiking, snowboarding, surfing, Tae Kwon Boxing, bowling, golfing, and gardening… just to name a few. Dr. Wilson has been living in San Diego’s north county his whole life and loves being able to work in the community in which he also lives. He has lived in Mira Mesa, Scripps Ranch, Rancho Bernardo, and now the Del Sur / 4S Ranch area. Dr. Wilson has two young children, Malia and Jackson, and another on the way! Dr. Wilson’s children go to school in the Poway Unified School District, in which his wife Michelle is an avid volunteer in the PTA and her children’s classrooms. Research the dentist’s background, history, and credentials. Your dentist should have a proven record of education, training, and experience. This is particularly important for dentists who focus on cosmetic and restorative treatments in addition to general dental care. Be sure to evaluate where the dentist has been trained and educated, the memberships and affiliations they currently hold, and any recognitions and awards they have received. This information can provide a greater picture of your prospective dentist’s experience and commitment. Read patient reviews and testimonials. You will likely be able to find a number of reviews about your dentist on the practice’s website and on third-party review sites. Learning about the experiences of other patients can help you gain insight into what you can expect from the dentist and the level of care provided at a specific practice. A dental treatment before-and-after photo gallery can give you a clear look at how specific procedures can transform a patient’s smile. Before-and-after photos are often available on a practice’s website. If not, you can request to see them when you arrive for your first visit. Photo galleries can be good indicators of what can be expected from treatments that you may be considering. Take a look at the practice’s technology. The technology utilized at a dental practice is a crucial element of care. There have been many advances in dentistry over the years that have made diagnosis and treatment safer, more comfortable, more effective, and more convenient. Technology and equipment designed to provide patients with less invasive treatment, more precise techniques, and less discomfort during the procedure are some of the things to look for when evaluating a dental practice. You should never feel hesitant to ask your prospective dentist questions about their background and what you can expect from them. A good dentist should welcome the chance to address any concerns you may have and you should feel that he or she is communicating with you openly and honestly. Do you have specialization or a particular focus on certain fields of dentistry? If so, which ones? Do you regularly pursue continuing dental education and additional training? Are you skilled and experienced in a comprehensive range of dental procedures, treatments, and techniques? Which professional dental organizations are you affiliated with? What are the treatment options that can help me fulfill my unique needs and goals? What Sets the Dentists at Pomerado Cosmetic Dentistry Apart? The dental team at Pomerado Cosmetic Dentistry strives to provide our patients with a comprehensive array of services right here under one roof, with particular focus on safety, comfort, and treatments that are customized for each individual. Our dentists are experienced in a vast array of dental fields, including family dentistry, cosmetic dentistry, and restorative dental care. They are firm believers in continuing dental education, which enables them to provide our patients with many of the latest treatments and techniques designed to streamline care and help individuals experience the most precise, comfortable, convenient, and effective procedure possible. Our practice provides customized care for patients of all ages, and we are an official VA Vendor for military veterans. Our large selection of advanced services also helps Pomerado Cosmetic Dentistry stand out from many others in our area. In addition to treatment options such as same-day dental restorations, dental implant restorations, and laser dentistry, our dentists offer help for TMJ Disorder and sleep apnea, which are common conditions that can affect one’s health and livelihood. We also understand that many individuals suffer from severe levels of dental anxiety, which is why our dentists provide sedation dentistry techniques that can help patients obtain the care they need while feeling relaxed and comfortable throughout the treatment. The dentists and their team at Pomerado Cosmetic Dentistry treat every patient who walks through our doors as though they are guests in our home. With honest communication, a friendly chairside manner, and a commitment to providing technologically advanced treatments performed by skilled dental professionals, we aim to provide all of our patients with an unparalleled level of care and a positive experience. If you would like more information on our dentists and the advanced treatments we offer at Pomerado Cosmetic Dentistry, please contact us today.